Fast and small giveaway. Note, that polishes are used once! Szybka i mała loteria. Zaznaczam, że lakiery są jednokrotnie użyte! Remember, that I need your google ID, email and links to twitter mention/blog. I also need you twitter or facebook name! Pamiętajcie, że potrzebuję wasza nazwę użytkownika google, email i linki do statusu na twitterze/bloga . Potrzebuję też wasze nazwy na twitterze i dane na facebooku! GIVEAWAY ENDS 23.01.2011 at 23:59 CET! LOTERIA KOŃCZY SIĘ 23.01.2011 o 23:59 CZASU POLSKIEGO! i’m a gfc follower; you nailed it! I follow on twitter: Alexa1202. You are on my blogroll: http://alexa1202.blogspot.com/. I like you on Facebook (Alexandra Schnaider). Notka o rozdaniu nr Rozdania. Enter me, please! I follow as Biba. Hello, I follow your blog via GFC as Liviana. let’s try! i follow u via google as *mezzaluna*! 2. Tweet about this giveaway here. 3. Follow you on Facebook as Monika Lintang Retnani. 4. Follow you on Twitter as @monikaretnani. 5. Link this giveaway on my blog here. i’m a gfc follower: you nailed it! I follow you on Facebook (FB name: Maddie Brubaker). You’re also on my blogroll. Hi! I follow via GFC as mrgee, and email is kit_kat_74(at)hotmail(dot)com. 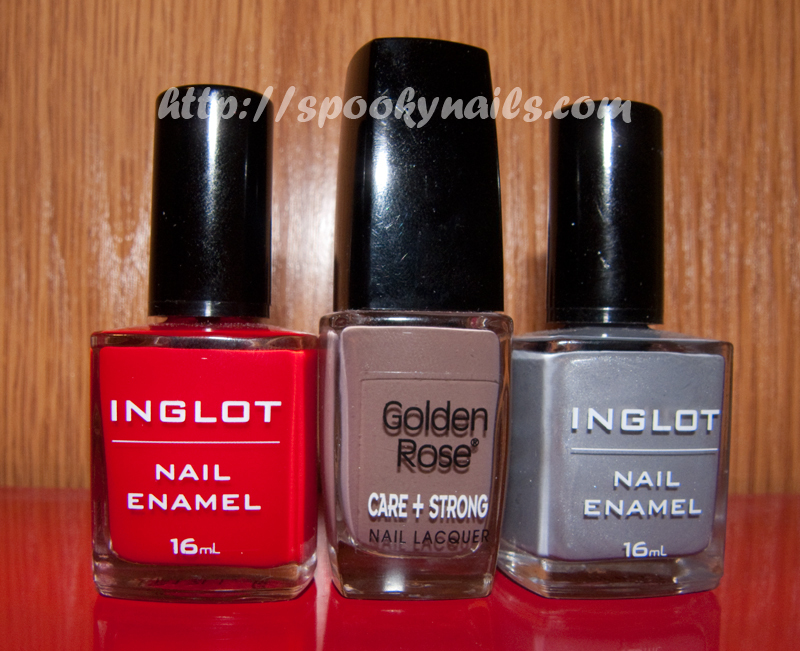 Oh those polishes are really nice, thank you for this giveaway! !